Justyce McAllister is top of his class and set for the Ivy League - but none of that matters to the police officer who just put him in handcuffs. And despite leaving his rough neighbourhood behind, he can't escape the scorn of his former peers or the ridicule of his new classmates. Then comes the day Justyce goes driving with his best friend, Manny, windows rolled down, music turned up - way up, sparking the fury of a white off-duty police officer beside them. Words fly. Shots are fired. Justyce and Manny are caught in the crosshairs. In the media fallout, it's Justyce who is under attack. This is a fantastic and invaluable book. I can't recommend it enough. 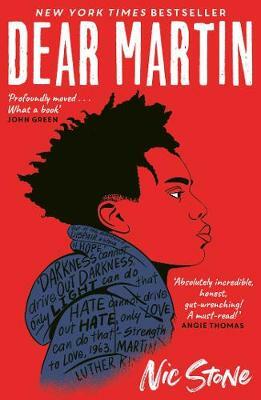 If you are a fan of Angie Thomas' The Hate U Give, make sure you read this too!